One more week and our January blues will be over! And I'm glad it's flown by but how shocking to think that one twelfth of 2016 has gone already! So since it's near enough the end of the month, here is a slightly early January favourites post! Although because of my absence over the past 2 months or so there have been so many favourites however I couldn't include them all so I narrowed it down to just a few staple products which I have been in love with recently. My first favourite is the MAC Mineralize Skinfinish in the shade Global Glow. If I had to pick my top 5 favourite makeup products there would definitely be a highlighter included. I love the look of dewy skin and not having glowing cheekbones makes me feel completely naked. It may come as a surprise but I don't actually own the shade Soft&Gentle I know a lot of people love it but there's just something about it which is too pink for me and I just don't like the look of it on myself, I tend to favour more champagne/golden tones in a highlighter so when my boyfriend got me this as a Christmas present I knew it was going to be the start of a beautiful friendship. Because this highlighter is quite dark and bronzey I think it works best by layering it over my Mary-Loumanizer highlighter with a MAC 188 brush and then blending it down into the bronzer on my cheeks as well, I also dust it on the sides of my forehead just above my eyebrows to add a bit of a glow there as well as this highlighter isn't as intense as the Mary-Loumanizer. Next up is the Laura Mercier Loose Translucent Setting Powder. I purchased this from the House of Fraser website on Black Friday so I was lucky enough to get a bit of money off as it was my first time trying it. I had seen youtubers and makeup artists on instagram and snapchat use this so much and I'd heard nothing but good things about it so I wanted to try it myself. I will never purchase another loose powder ever again except this one, it is like silk on my skin! I apply it using the Real Techniques Setting Brush to set my concealer underneath my eyes and also any oily areas such as my forehead and at the sides of my nose and then i'm done for the day! My under eyes don't look cakey or blotchy they just look smooth and flawless. I personally wouldn't use this as a powder for all over my face as I don't really like a matte finish I prefer to look dewy on the other areas which I don't set with this powder, but if you're a fan of the matte look then go for it! The NYX Jumbo Pencil in the shade Milk is another product which is talked about on youtube and instagram and as I mentioned in my last post about visiting the Clothes Show this was definitely on my mental shopping list whilst I was at the NYX stand and when I spotted the jumbo pencils my eyes frantically scanned the whole rack for the Milk shade and luckily enough I got one! 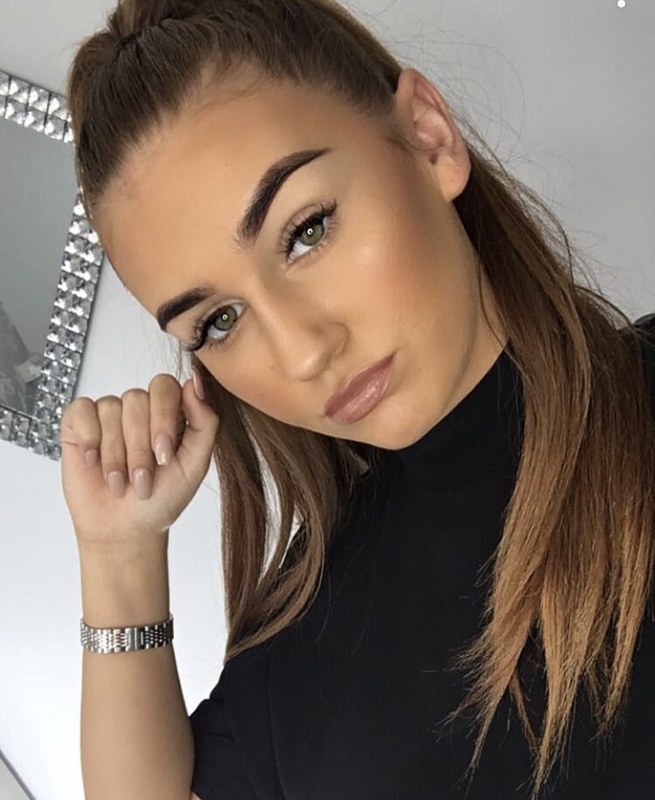 I've been using this to highlight my brow bone starting off with just a splodge of white underneath my eyebrows, then using a small concealer brush to guide it right underneath my eyebrows and then blending it into my eyeshadow primer with a Real Techniques Deluxe Crease Brush. 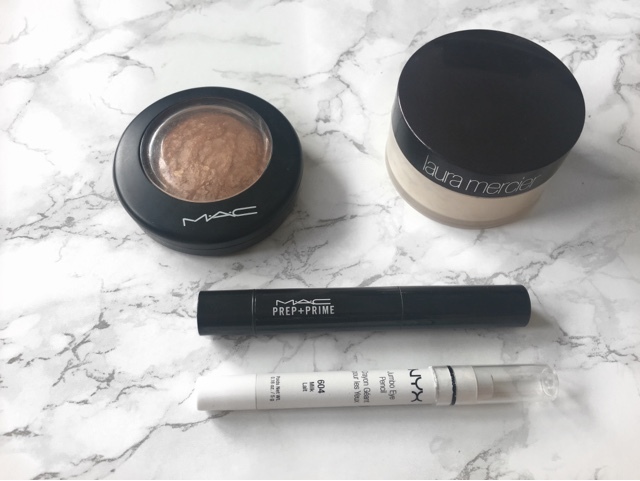 Last but not least is the MAC Prep+Prime Highlighter Pen in the shade Lightboost. When it comes to contour and highlighting I prefer to use a cream or liquid to highlight the high points of my face and using a powder to contour. I love this product purely because of the colour and how easily it blends out, the colour is yellow toned which is what favours the shade of foundation I wear. I apply it under the eyes, in the centre of my forehead, down the centre of my nose and a small amount on my chin and then blend it all out with a damp Beauty Blender. Let me know what your favourite products are this month and if you've used any of my favourites and let me know what you think of them in the comments. See you soon!